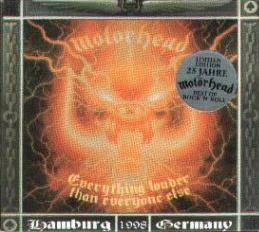 Recorded live at ”The Docks”, Hamburg, 21st of May 1998 (or was it the 25th? that is what the included back stage pass says in the digi pack version. 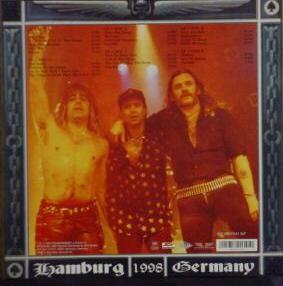 But on the 25th they played in Berlin). Before the title was decided it was meant to be called ”False Teeth For The Deaf”. I know the guitarist from Skew Siskin was invlolved in the recording in some way. 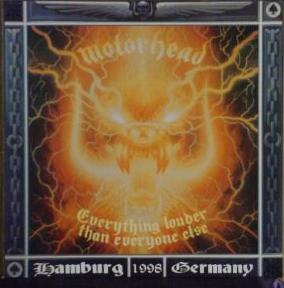 The artwork featured again a Joe Petagno work on the front and a live picture of the band on the back just after a gig when they are thanking the audience. 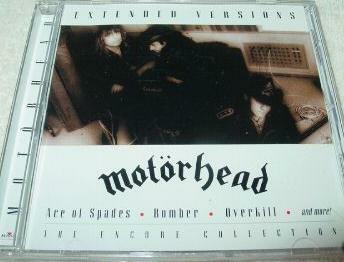 The booklet featured colour pictures and quotes from other musicians about Motorhead. 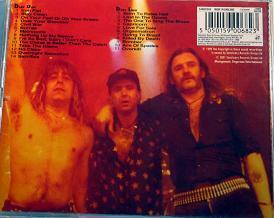 Each song was also commented by Lemmy, just like he did on the No Remorse compilation. 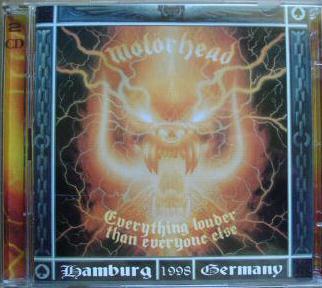 When it was released in 1999 it was released in Europe as a digi pack, a standard jewel case package and as a 3 LP package. 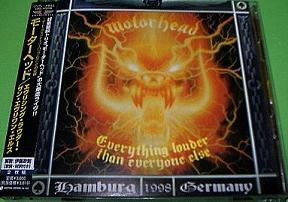 In America and in Asia it just was pressed as a standard 2 CD jewel case version. 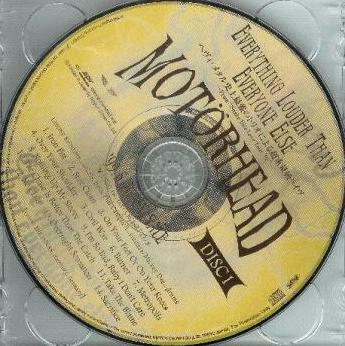 Since the Extended Versions CD includes 10 songs from the Everything Louder Than Everyone Else album I have included releases of this compilation here. BMG 75517468682 USA 2002-07-23 Ext. vers. CCL CCL89182 USA 2004-11-09 Re-issue, Ext. vers.